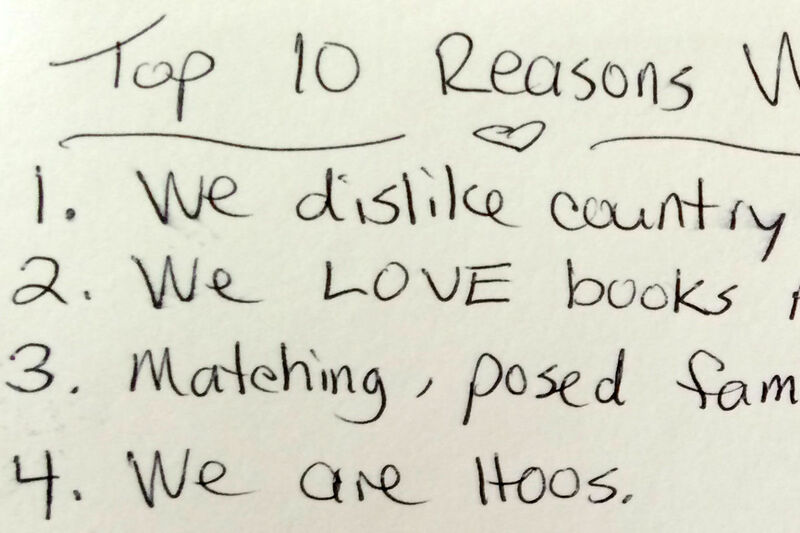 In a card my wife handed me this morning on Valentine’s Day, which also happens to be her birthday, she listed the TOP 10 REASONS WE WERE MEANT TO BE TOGETHER. She wrote a heartfelt note as well, which I won’t divulge because it’s personal, other than to say my wife may write the most sincere notes in the history of mankind. Of the 10 reasons she listed, I wanted to share three. 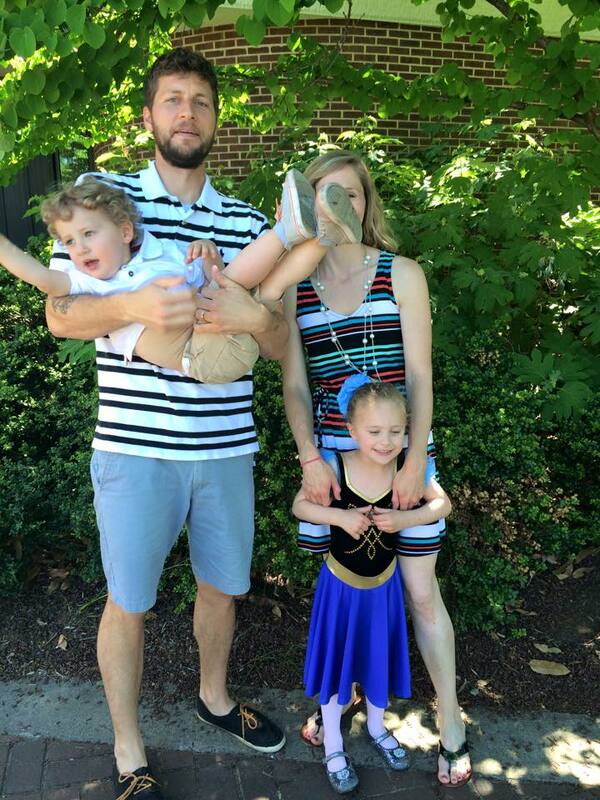 This made me love my wife even more than I already did, which I didn’t know was possible. Did someone just say punk rock till I die? When prompted, have you ever told someone you don’t watch television or, gasp, sports, except occasionally. Have you ever watched the look of shock sweep over their face, watched their eyes twitch in distress, trying to fathom the statement you just made? You’d think you just told them you have three dead bodies—and one which may still be alive—buried in your backyard, but, eh, don’t tell anyone. That’s how we roll in my house. Not dead bodies buried in the backyard. The lack of television consumption. We replace television programs with chapters in books. I’m not allergic to television or cable¹, nor do I judge anyone who wants to spend their time that way; it’s just not how we spend our time on a daily basis. We created a reading nook recently in our downstairs living room with natural lighting. It sums up who we are fairly concisely. Reading is important. Learning is important. We sit together daily and read quietly side by side, then we discuss our books with one another because we are truly interested in what each other has to say. Other than the whole loving each other part, who is the love of your life and why are you meant to be together? How I Met Your Mother is our absolute favorite!! Ha. Well, truth be told, that was really the reason I wrote this… to mention How I Met Your Mother. In all seriousness though, I’m not sure we will ever find another show quite like it. We watched all nine seasons in roughly a six month span. We grew entirely too attached. We gave up looking for a worthy second place roughly two weeks after we watched the final, tear worthy episode. It is so funny to think about. Your dad loved Nascar, Football and I pretend to since he did…I loved to cook..he loved to eat mostly everything I ever cooked/baked.! I will say we really enjoyed walking together and grocery shopping. We both loved country music. I enjoyed trying to dance..he hated dancing! I love to chat, but your dad was quiet until you got to know him. I could make a stop sign talk! Our 1st date was Valentine’s many years ago! We were the opposites attract kind of couple mostly!